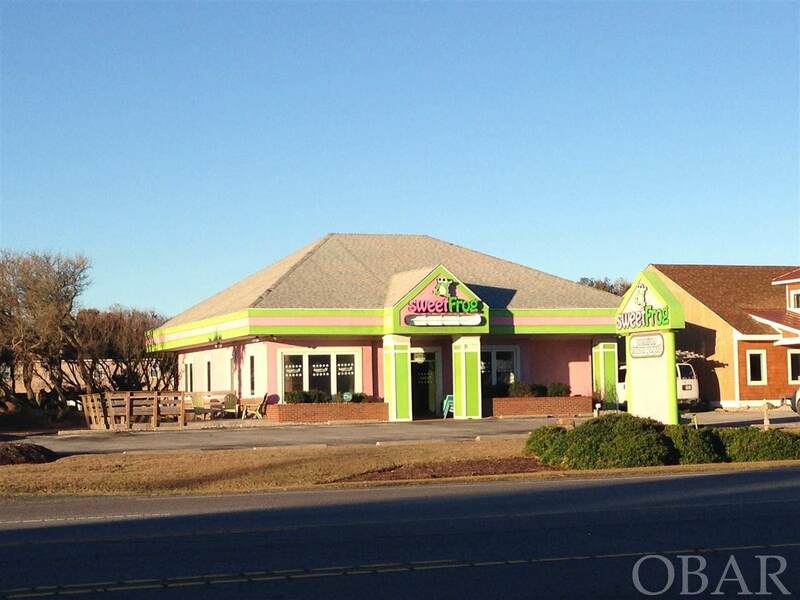 UNLIMITED potential for this commercial building located on the east side of N. Croatan Highway in Kitty Hawk. 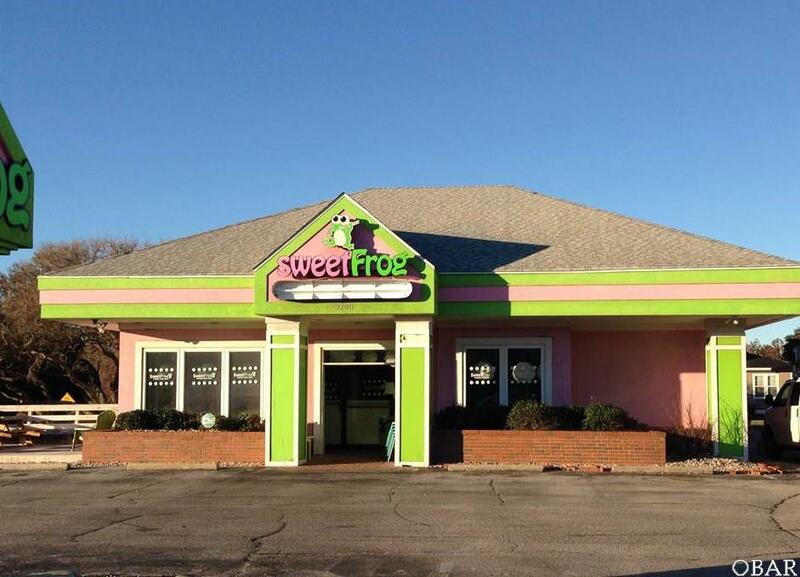 As is, it offers 1,974/sf currently leased by Sweet Frogs Frozen Yogurt Shop, however there are plans and preliminary permits in place to double the size to approximately 4,000/SF which would accommodate a 75 seat restaurant. 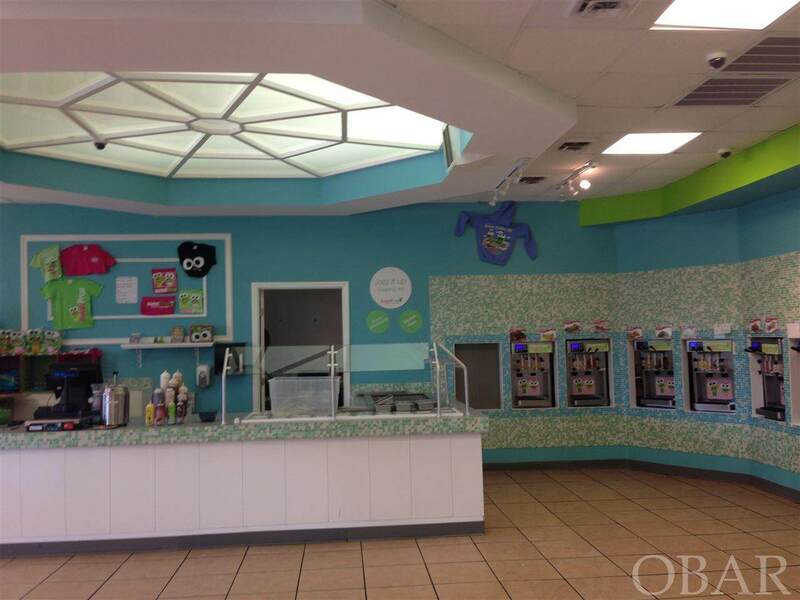 ASKING PRICE SUBJECT TO CHANGE DUE TO TOWN REQUIREMENTS, AND NEEDED DRAIN FIELD REPAIR AREA ON ADJACENT SITE. This corner Bypass location offers 100' of primary highway visibility, .57 acre lot (25,000/SF) and ample parking (currently 15 but proposed expansion increases to 35 spots!). 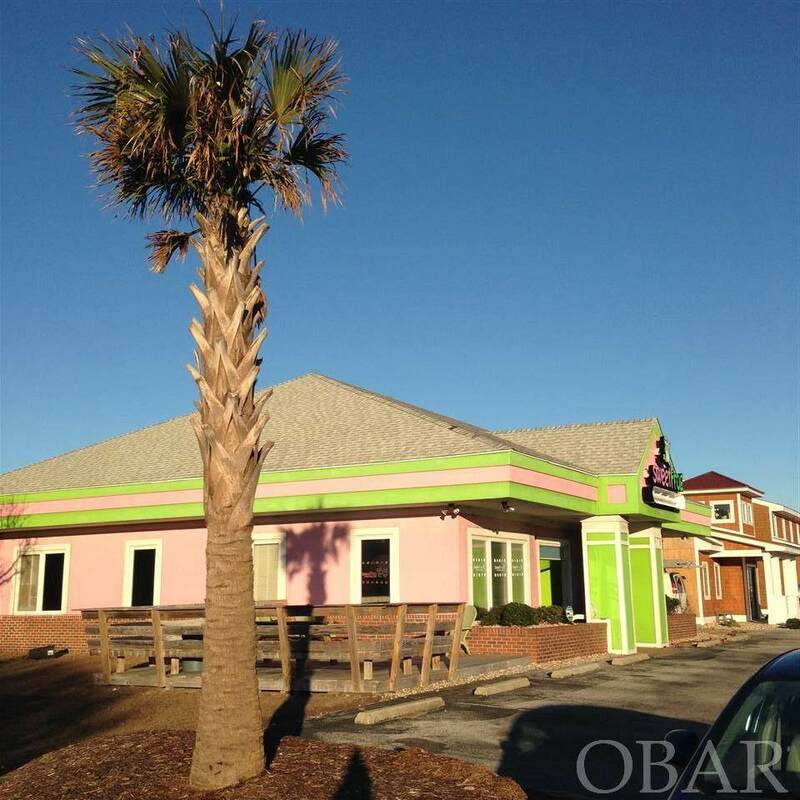 It is zoned BC 1 - General Beach Commercial, which includes professional offices, retail, service establishments, restaurants, plus a SLEW of conditional uses.